Helping students find their voices is fun, inspiring, and important work. We welcome tutors of all backgrounds and areas of expertise! Basically, if you’re excited about working with young learners and ready to learn alongside them, you’ve got what it takes. Volunteering with 826 Valencia is fun, rewarding, and flexible. You can help out in any program that fits your schedule, and we have many opportunities to get involved. Available 1-3 hours per week, Monday through Friday, between 8:00 a.m. and 8:00 p.m. This is a California requirement for working with youth. We’ll send you an invite! You will be asked to complete a background check at the orientation. We can’t wait to see you in our programs! There’s a lot going on at our centers after-school, from homework help to creative writing prompts. 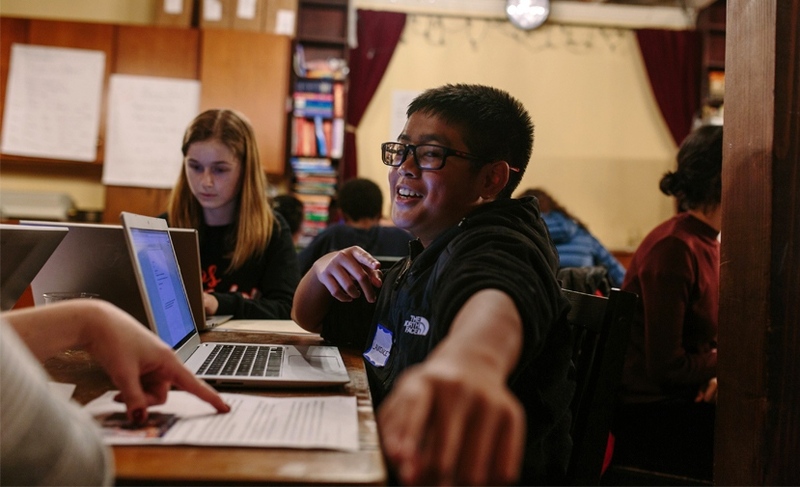 We bring volunteer tutors into schools to support students at our Writers’ Rooms and provide individualized support with their writing. If you’re in high school and want to volunteer, we have opportunities for you.